As the dust settles on yet another great season that saw a new World No. 1 crowned, our first ever back-to-back finalist and then our first winner of consecutive ranking events, we take a look at the players who have stood out above the rest. With two Belgians, six Englishmen, six Irish players, two Swedes, a Welshman & Scotsman to pick from, who will get your vote and become the 2016/17 PPOTS? A great finish to a very consistent season saw Stephen secure second place in the Order of Merit. Having made the Cup knockout in all six ranking events this season, the Englishman nearly made the final of the World Masters but lost out in a semi-final tie-break to Joe Beattie. Stephen will be happy enough though following notable wins over Kevin & Sean Conroy, as well as John Quinn, on his way to fourth spot. Stephen will now captain Team England at the forthcoming World Cup. On Alan’s first Short Mat Players Tour appearance in two years, the former World Masters Champion took home his second title! Eleven straight wins saw the man from Londonderry claim Gold at the Irish Open in Belfast. An impressive 37 wins and only 5 defeats from his 42 SMPT matches shows what a class player he is. Can the Irish International add more titles next season? You wouldn’t bet against him. Ryan has enjoyed another successful season on the Tour. Another piece of silverware was forthcoming following victory last season at the John BurgessPairs, this time taking home Gold at the World Fours Masters alongside Danny Langdon, Ollie Hipkiss & Stephen Holdsworth. A tight 9-8 defeat against Martin Simcock at the Semi Final stage of the English Masters meant Ryan just missed out on a place on the podium. What a fantastic season it’s been for the 27 year old from Herentals. Dimitri became the first player to both play 200 SMPT matches and record 150 wins. Having qualified for the Cup knockout in all six ranking events Dimitri’s best performances were quarter final appearances at both the Swedish & English Masters. His consistency was well rewarded as he finally overhauled Mark Beattie to become World No.1 and he completed the double by securing first place in the Order of Merit. Dimitri did take home a title with victory in the Welsh Grand Prix 3-Bowl Pairs alongside his father Jonathan. Martin has only played in 3 ranking events this season but has made quite an impression. A fantastic Bronze medal at the English Masters after beating England’s Ryan Knight was followed up with a fine run at the World Masters where he finally succumbed to debutant Ricky Cochrane in the Last 16. This great finish however, means Martin will Captain Team Wales at the World Cup in August. Martin will be keen to show more of his potential on the Tour next season. It’s been the classic tale of two halves this season for Joe! It started brightly enough with victory as part of the Ireland team at the World Cup in Bromsgrove. However, the first three ranking events were a bit of a shock to all, with Joe making only one Shield and two Plate appearances. Following his Plate Semi-final defeat to Joel Hager in Norway, Joe turned it all around and played like the 3- time Champion we know. Just one draw and one defeat coupled with twenty wins saw him become the first player to win back-to-back ranking titles with victory at the English Masters & World Masters. He now leads the way with 5 SMPT singles titles! The experienced Scottish International enjoyed a great off-season with victory in the sun at the Cyprus Grand Prix in Paphos. Lawrence won all three individual events and was crowned player of the tournament. He then followed this up by becoming Champion at the season opening UK Open in Bromsgrove in August. It was back down to earth with a bump however, as at the next event in Belfast, the Irish Open, Lawrence amassed only 2 group wins which was only good enough to secure a place in the Shield knockout. Still, 4 Gold medals is not bad work for a season, and Lawrence will be back stronger than ever next season. Christer will be delighted with his efforts this season. A much improved 68% win ratio from his 44 matches including a SMPT record 35-1 win over Tariq Hussain from the United Arab Emirates has seen the 61 year old from Ellenö drop no lower than sixth in the Order of Merit. Finishing an agonising fourth in the end does not detract from some great results this season. 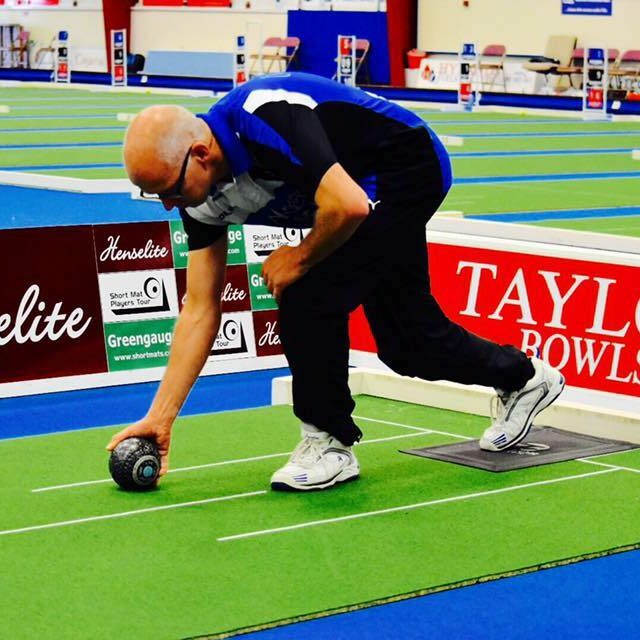 Plate victory in a tense match against Nigel Nicholls at his home event in Sweden is sure to be the highlight, with strong runs in both Bromsgrove events. Can he continue his rise up the rankings next season? A rise from 58% to 73% in win ratio has made all the difference for James this season. Two tournament victories at the Cyprus Grand Prix were followed by two Plate titles at the UK Open and Norwegian Open. 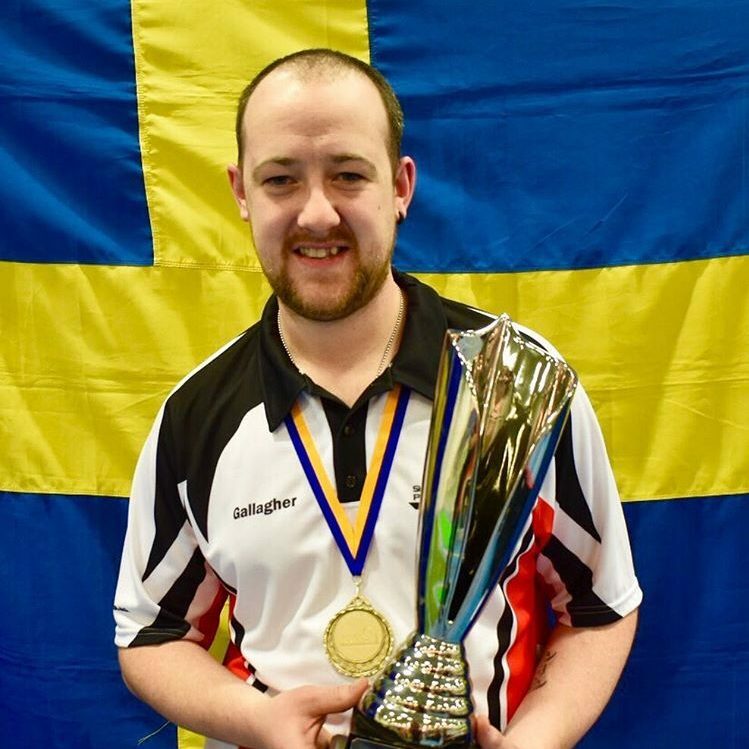 Then at the Swedish Masters at the turn of the year, James secured Bronze with a 14-7 win over Paul Seaman. Further Cup runs at the English & World Masters ensured James overtook Christer Nordin right at the death and secured third place in the Order of Merit. With a rise of 7 places to 15 in the world rankings, James heads to the World Cup in August looking to make up for the final defeat he suffered two years ago. Jon has shown his consistent qualities yet again this season with another strong showing at ranking events. Jon became the first player to make back-to-back ranking event finals but unfortunately tasted defeat on both occasions. Losing 14-7 to Mark Beattie in Norway and 10-5 to PJ Gallagher in Sweden were the only defeats in a 23 match run. There was better news however as Jon, alongside son Dimitri took victory at the Welsh Grand Prix 3-Bowl Pairs in Cardiff. In the final event of the season, Jon just missed out on a top three finish in the Order of Merit as he failed to qualify for the Cup knockout. Despite this he has shown he is one of the top bowlers in the world and sits at No.3 in the rankings. This Seasons’ Ryan O’Neill Award winner, Jonas was the highest placed under 18 in the Order of Merit, finishing 12th. His best result this season came with a last 16 berth at the English Masters where he lost to Joe Beattie. His two other Cup appearances also came to a holt by another Beattie, this time Pauline who beat him in two tournaments in a row at the first knockout stage. Notable victories though included wins over Bronagh Toleman, his father Joel and Andrew Leckey to name but a few. Jonas on his day is more than capable of beating anyone and he is a player to be feared! P.J has a great record this season with five ranking event appearances. 35 wins and just 8 losses sees the Donegal man finish 13th in the Order of Merit. His highlights will of course be his victory at the Swedish Open where he defeated Jonathan Payne 10-5 to be crowned Champion, and captaining Ireland to their first World Cup victory back in August. P.J will again be part of the four player squad that will travel to Chelmsford this August as they look to defend their title. 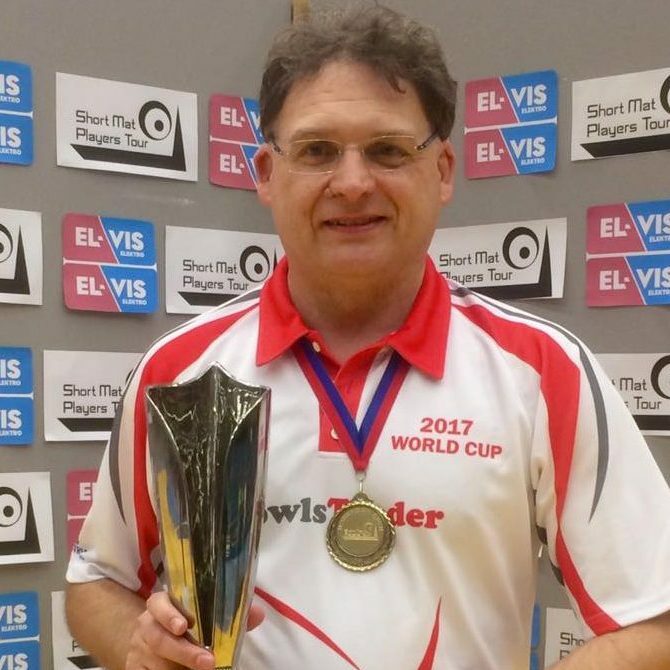 P.J did end the season on a high with victory in the Plate Final at the World Masters. Jack started the season with a Semi-final loss to Ireland at the World Cup but will get his third chance to win this August thanks to his 5th place finish in the Order of Merit. A very respectable 4th place finish at the season opening UK Open was the stepping stone to another improved season for Jack. Making the Cup knockout in all 5 events he played in, including a good run at both the Norwegian Masters and Irish Open moved Jack up to a career high position of 4th in the World Rankings. Can the Taylor sponsored bowler win his first title in 2017/18, watch this space. The former World No.1 had to miss captaining Ireland at the World Cup and the UK Open due to personal reasons. He was soon back in his stride though as he continued his remarkable run of 24 Cup appearances in a row! 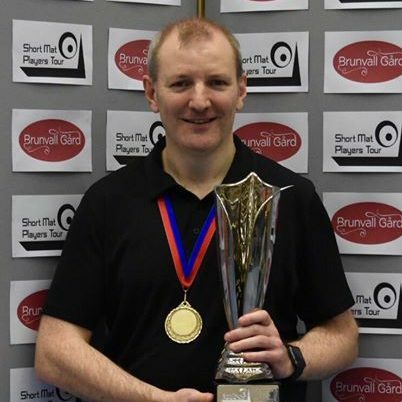 A first round loss to Stephen Gale at the Irish Open was then followed by 25 victories in 26 matches as Mark went on to win the title in Norway before losing out to Joe Beattie in the Final of the World Masters in Belfast. Mark will be keen to regain his No.1 spot in the rankings next season, but before that he has the small matter of helping Ireland retain the World Cup. It was a winning start to the season for Tony as he helped Ireland win their first World Cup in Bromsgrove. Tony then lost out in a nail-biting tie-break to Scotland’s Ken Kelly in the UK Open Cup knockout. A semi-final appearance in the Plate K/O at the Irish Open soon followed before Tony was back into the Cup K/O at the Norwegian Open, Swedish Masters & English Masters. Injury then put paid to the end of the season for Tony but he still managed 16th in the Order of Merit showing his consistent form counts. A near on 70% win ratio has also helped him maintain his top 15 World Ranking status. Pauline was the final member of Ireland’s victorious World Cup team and finally adds a Gold medal to her three SMPT Bronze medals. Just four ranking events for Pauline this year, but she secured Cup qualification in all and her latest Bronze medal came in Belfast at the Irish Open. 23 wins from her 31 matches this season and a top 20 spot in the Order of Merit despite missing 2 events. Pauline also remains in the top 10 of the World Rankings and is highly regarded as the best female bowler in the World! Although Dan failed to make the Cup knockout in any of the ranking events this season, he still had some success on the Tour. A Plate Quarter Final appearance in the season opening UK Open was followed by victory in the Irish Open Shield final against Jordan Rankin of Ireland. Dan’s greatest day on the Tour however, came on the Friday of the World Masters weekend with our traditional World 2-bowl Masters. He succeeded in defeating Eddie Crawford in a fantastic and tense Final that went to a tie-break, with Dan winning 2-1. Ross made quite the impression on his SMPT debut at the English Masters back in February. Well respected at County & National level, Ross showed his talent at singles, previously shown on many occasions representing the West Midlands County team. Some notable wins against players like John Manley & Paul Pomeroy in the group stages led him to the Cup knockout where he eventually lost to England’s Peter Hore 11-10. Ross then went on to win the inaugural Welsh Grand Prix 2-Bowl Pairs alongside Phil Warr. They defeated Stephen Williams & Chris Willies 15-8 in the Final. 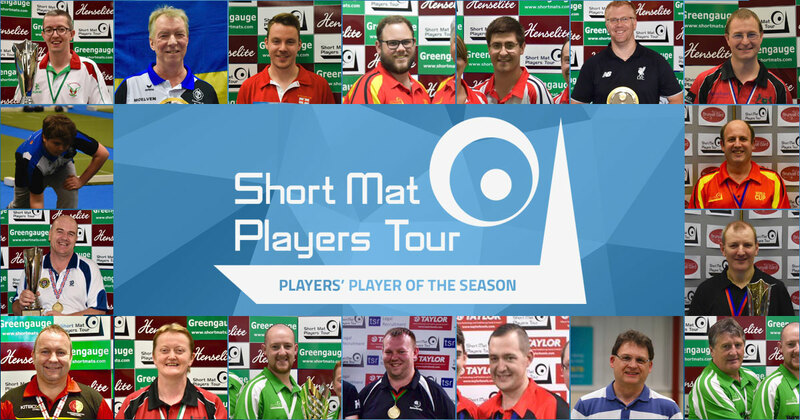 The Short Mat Players Tour’s (SMPT) selection of short-listed players is final. Voting is open to all players who have a SMPT Player Profile on our website. Players who have previously played in a SMPT event but do not have a Player Profile can register for one by emailing profiles@shortmatplayerstour.com – any player wanting a profile should send their email from the email address that is to be used for their profile, confirming the name of the last SMPT event they entered. Once a Player Profile has been set up, the player is eligible to vote. Players may vote only once, through one registered profile under their name. Simply login to your Player Profile and register your top three choices in order of preference. All votes must be received by SMPT in the required format before 8pm on Saturday 1st July 2017. The winner will be announced on our website thereafter.